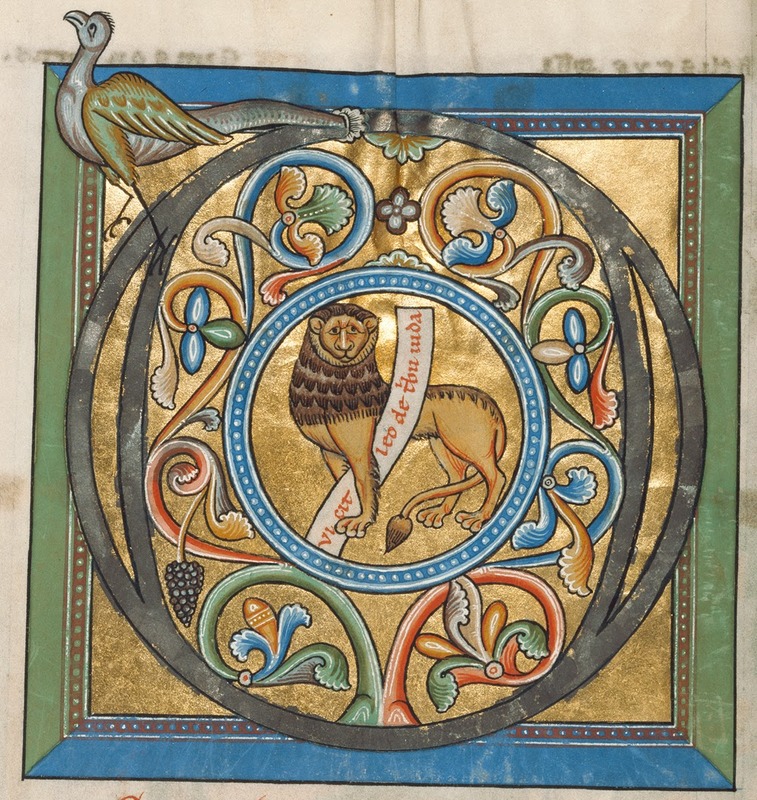 The first piece devoted to the choir of confessors—a class that for Hildegard contains generally the clergy—in her vision of the heavenly symphony in Scivias III.13 (in c. 6), this antiphon turns from the sacramental duties of their priestly office described in the responsory, O vos imitatores, to look at their Christ-like role as the servant-leaders of the Church: leading the people of God in their praise, helping them like the guardian angels, waging the battle against the fallen angel, and in all things imitating Christ’s strength as the Lion and his sacrificial love as the Lamb. One who desires the power of an office for his own boastful pride and not for the glory of My name is to Me like a putrid corpse, but one who seeks it desiring from it not his own pride but My honor will be glorious in My kingdom. And so priests should take on the office of spiritual government not for their own sakes but for Mine, that they may rule more surely and devoutly over My people. 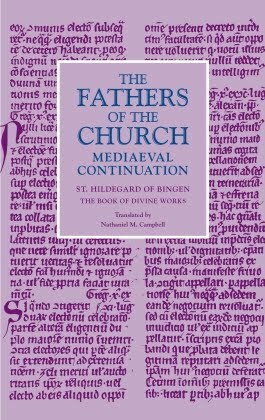 Although today’s antiphon never mentions him, that “ancient waylayer” lies always in the background of Hildegard’s view of the Church’s place in salvation history, her battle against him, and her relationship to the angels. 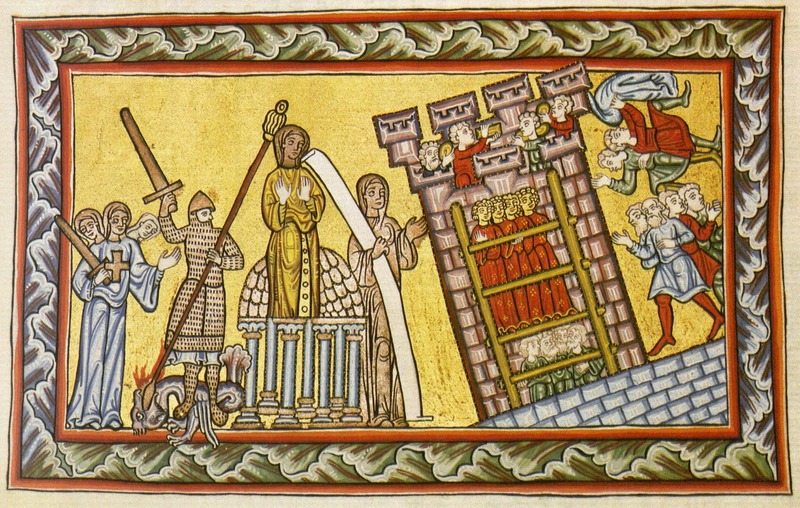 In comparing the office of the Church’s pastors to the angels as they both praise God and, as guardians, come to the aid of humankind, Hildegard draws on the belief that God created the angels for a twofold service, “for the honor of His name and for human salvation”—the latter office “by assigning some to help humans in their need, and other to manifest to people the judgments of His secrets” (Scivias I.6.1). 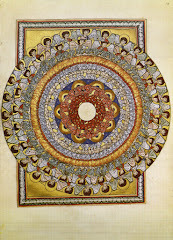 Moreover, Hildegard held firmly to the belief that humankind was created to fill the tenth and highest choir of angels, left empty by the fall of Lucifer and his companions, as she explains Scivias III.2.19. The clergy of the Church thus assume the twofold office of the angels, analogous to Christ’s twofold summary of the law’s commandment of love: they praise and love God, and they serve and love their neighbors, the children of God and inheritors of the kingdom. As governors, they mediate the angels’ manifestation of God’s commands to his people; as pastors, they “keep and feed God’s sheep to imitate Him in honor” (Scivias III.9.22). This building [of salvation] is a hundred cubits long, which means that the number ten was diminished by humanity when it transgressed, but was restored by My Son and multiplied by ten to a hundred, as virtues were multiplied in the salvation of souls. And from the hundred, again multiplied by ten, there will come the perfect number one thousand, referring to the virtues that will completely destroy the thousand arts of the Devil, which now seduce the whole flock of Almighty God’s lovely sheep. God foresaw that what had fallen in the lost group [of angels] could be more firmly restored in another. How? He created humankind from the mud of the earth, living in soul and body, to attain to the glory from which the apostate Devil and his followers were cast out. 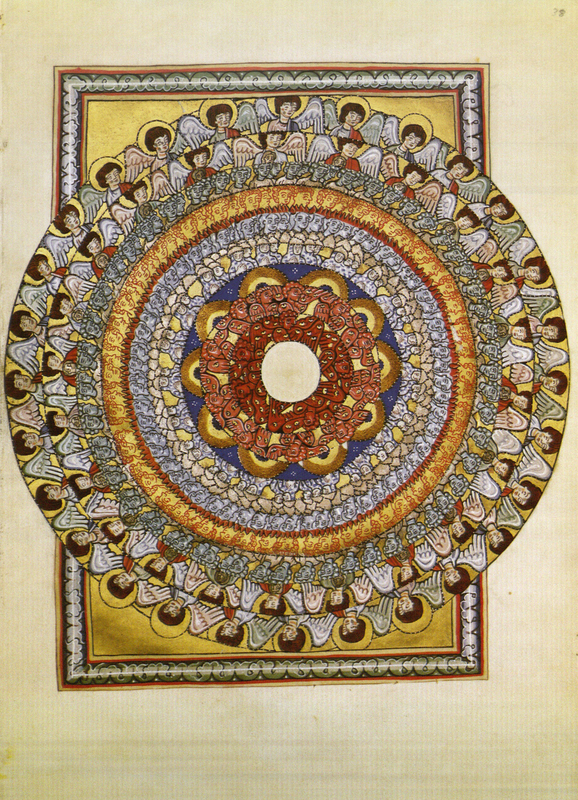 Humankind is thus exceedingly dear to God, Who made them truly in His own image and likeness; they were to exercvise all the virtues in the perfection of holiness, as indeed God formed all creatures to do, and to work in humble obedience to do acts of virtue, and so to fulfill the function of praise among the glorious orders of angels. And thus, in this height of blessedness, humankind was to augment the praise of the heavenly spirits who praise God with assiduous devotion, and so fill up the place left empty by the lost angel who fell in his presumption.